I've been teaching my daughter how to skate over the past month. My wife and I wanted to do something special for her birthday. 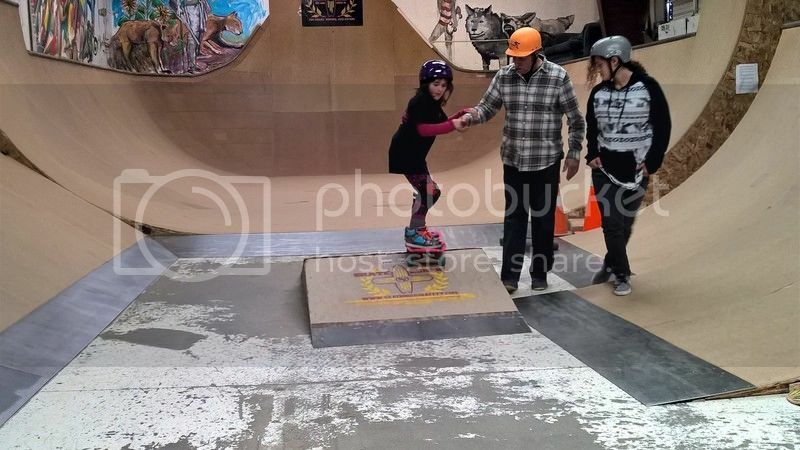 She celebrated her 7th birthday with a lesson from Joe Lehm at Skate School in Santa Fe Saturday. After the lesson she said, "This the is the best day of my life!" I have to agree it was pretty awesome. We have another lesson scheduled in a couple weeks. Sounds like a fantastic family event!!!! 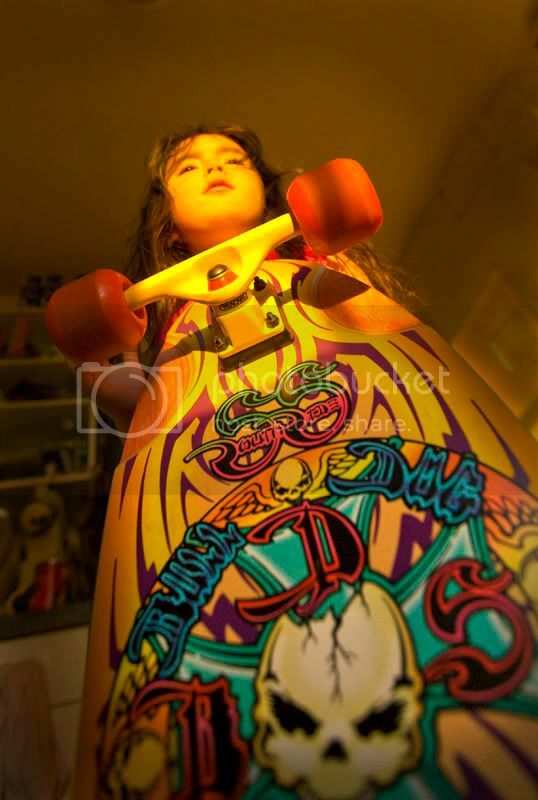 My daughter's intro to skateboarding did not go as well, but I decided to keep her anyway. She has already claimed my BDS pink Fish setup. I put on some soft wheels and white Khiro bushings for her. It is hers now. Very cool, Gary. Thanks for sharing! Just a little update. My daughter was given homework between lessons and she had been practicing almost every night. She wanted to go to the local park here in Los Alamos so I took her after work yesterday. She is learning to ride up some transition and back down fakie. Here she is on my BDS deck she has claimed. 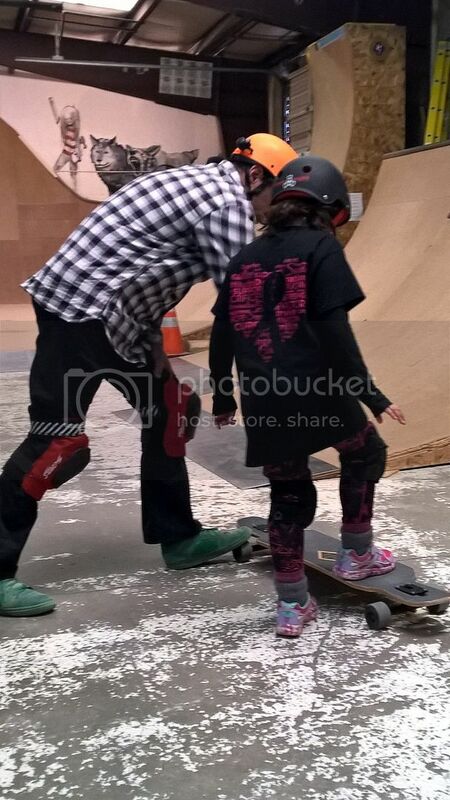 Roxy had her second skate lesson with Joe this weekend. He's impressed with how well she's doing. I brought her boards along this time and Joe said, "Roxy is lucky having a daddy with such nice boards." She wanted to go out yesterday to do some of her "homework" so I took her to her school for some pushing practice. She practiced pushing uphill some. She was so excited to see daddy doing kickturns and an occasional 360. Made me smile. Good on you, and like Brian said, "Woot!!! For skater girls!" Roxy's gonna be school'n dad soon. Roxy had another lesson with Joe this past weekend. She got to work on some new things. 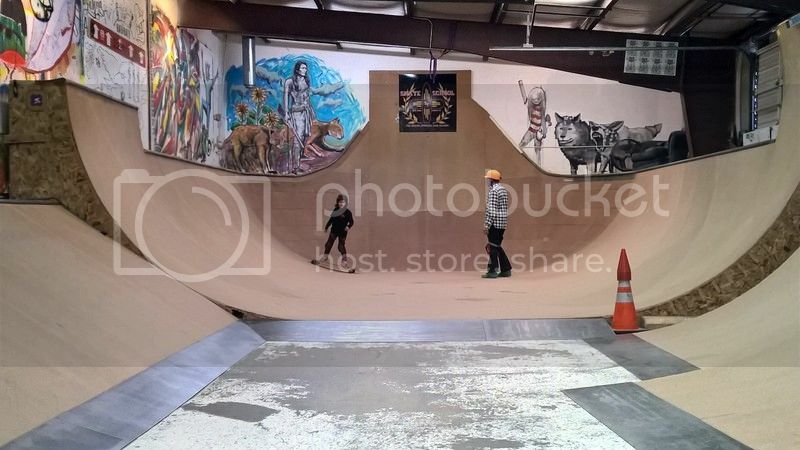 We bought her a new skate helmet from Joe, purple of course. I'm so proud of her. She falls and gets right back up and tries again.